Over the years, many people have come through Lagonave to offer assistance to the locals in many forms of aid and community development. Often times, they would have the opportunity to hear of the orphanage and Mme Soliette & the children. Few left that place unmoved to want to help. We call these people, "Friends of the Orphanage". Some have helped with periodic cash donations for food or rent. Others have sent clothing and educational supplies. All have experienced the limitations of their gifts and the helplessness that inevitably comes from living so far away from the needs. 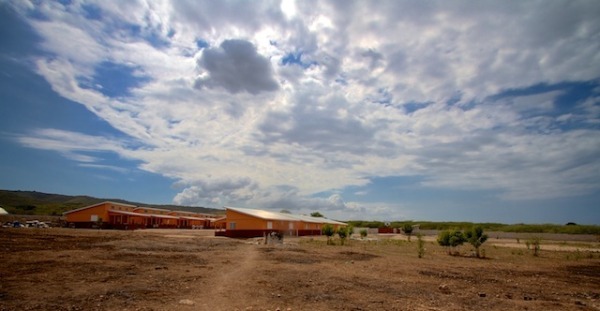 But...since April of 2011, the "Friends of the Orphanage"have organised into a powerful co-operative effort to develop and implement a long term strategic plan for the security and advancement of the "The Jesus Home for Children of Lagonave". The Co-op is called Okipe. (Oh-kEE-pAy), which is a Haitian Creole word meaning , "to look after". We have recruited and sent the Janofski family to live on the island of Lagonave to serve as our "boots on the ground" coordinators for our development efforts. Lemon Aid is one of these friends, we were first involved with the orphanage on the 2009 medical trip when we vacinated the children in the orphanage. Since then we have been involved in various ways. Please find a way to join the effort today...you'll never regret having given your best to those with the least! If you would like to donate towards this worthy cause, go to the Lemon Aid donate page. Please mark the donation "Okipe". We truly appreciate all donations wheter large or small.